Waylon Woolcock and Hennie Roux made an early breakaway to coast to a win in the opening stage of the Liberty Winelands Encounter in the Western Cape today. 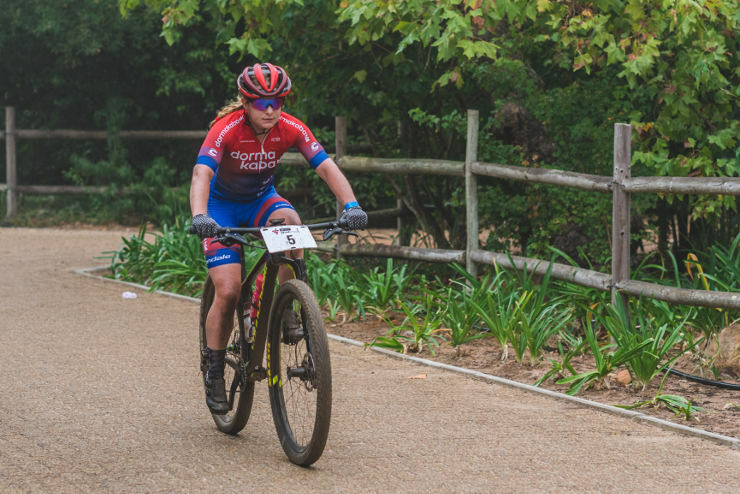 The pair covered the 48km route from the Boschendal Wine Estate to Le Franschhoek Hotel in 1:54:22, setting themselves up for victory when the mountain-bike race ends on Sunday. Filling second spot on the podium were Cobus Swanepoel and Neville Cragg (1:57:19), followed by Dawid de Bruin and Michael Dundulakis. A former professional cyclist, Woolcock won the race in 2017 with HB Kruger and today’s efforts put him in line for a repeat performance.